Popular Bajaj Avenger is confirmed to be released in 3 new variants. All the 3 new variants of Bajaj Avenger will be brought to Indian market within a short period. One of these variants could be called as “Street” edition as one could clearly notice a badge by name “Street” in the side panel. The new Avenger Street variant will share the same mechanicals, but might differ cosmetically. The new Bajaj Avenger 200 Street is going to be powered by a 200cc, oil-cooled, single-cylinder petrol engine. The introduction of “oil-cooled” engine is something new in Bajaj Avenger’s history. 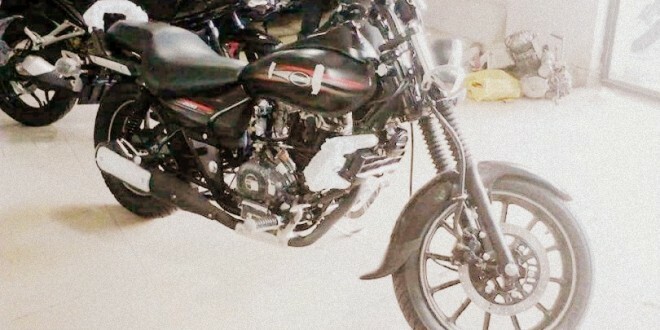 The leaked images of Avenger reveal the presence of radiator in front which is very small when compared to the liquid-cooled engines like the Pulsar AS200 and it is very similar to existing Avenger 220. Although the Avenger 200 Street doesn’t look very premium, the introduction of multiple variants would certainly enhance the portfolio of Avenger bikes from Bajaj. We look forward to provide more details on Bajaj Avenger 200 Street when it has been officially launched which could take weeks time from now.